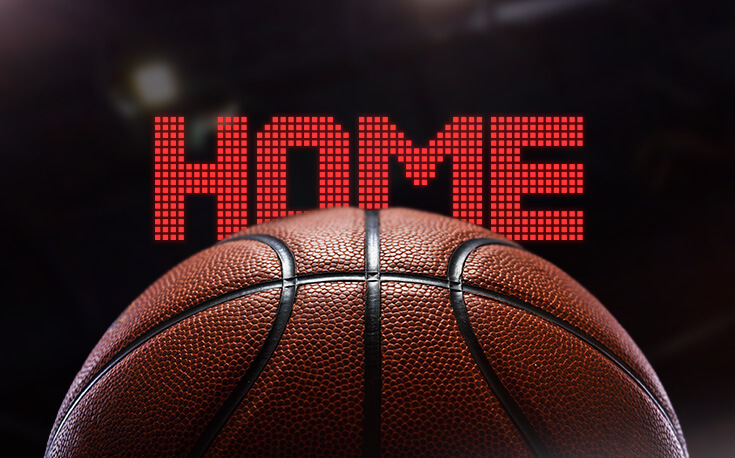 The advantage of playing at home is well known to both sportsbooks, and veteran college basketball bettors, but not every home-court has the same effect. Whether from altitude or the layout of their arena, the statistics and history show that certain teams are undervalued by sportsbooks when they play at home. Think of this article as evergreen strategy when it comes to betting on college basketball. Just because a team wins consistently at home straight-up doesn’t mean they are a good bet against the spread, and one school, in particular, stands out in this area. Winning on the road: it’s hard for the pros in the NBA. For college basketball teams, it’s a ten out of ten on the Mohs scale. Bettors who are new to NCAA basketball wagering often get tempted by small spreads and short moneylines for powerhouse schools playing away from home. But don’t be so quick to place your bets. Hostile environments can lead to upsets, sometimes of epic proportions. Not all stadiums have the same effect, though. Certain arenas across the nation have a much more pronounced home-court advantage than others, and bettors have to keep this in mind if they want to succeed in the long run. KenPom and other prediction systems that take home-court advantage into account give every team the same bonus for playing at home, and that’s a shortcoming of those systems. Given that sportsbooks consistently rely heavily on the likes of KenPom when setting their lines, bettors can find value in certain spreads that don’t factor in the more pronounced home-court advantages. The details below will help you decide when a point spread is offering value. Iowa State Cyclones: Is Hilton Magic Real? There’s no shortage of anecdotal evidence that Iowa State’s Hilton Coliseum creates a distinct advantage for the Cyclones. 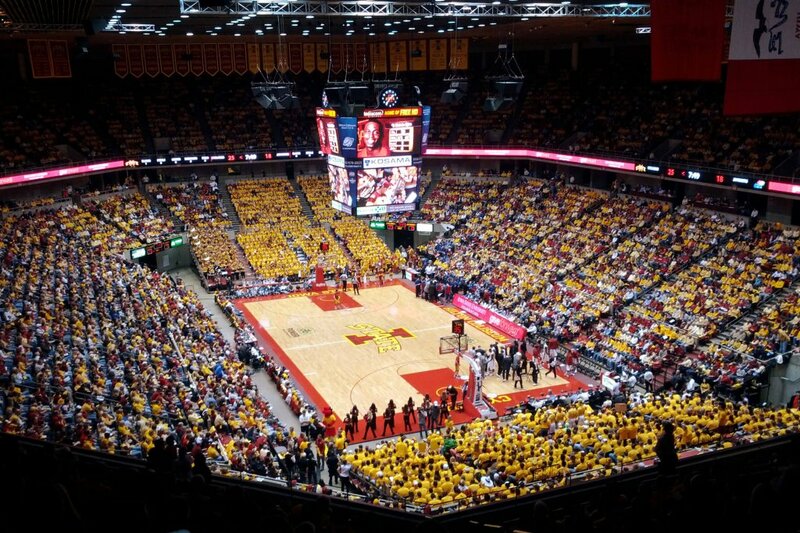 Coined in the late 80s, the term “Hilton Magic” is common parlance for the bonkers results that seem to be routine in the stadium, which is said to get so loud and so raucous that the floor itself shakes under players’ feet. But is it more myth than reality? While it might be exaggerated, the Cyclones indeed produce better results on their home floor compared to the rest of the country. According to BoydsBets, since 2006, Iowa State’s average scoring differential is 5.32 points per game better at home (17th-best in the nation). While you have to take that number with a grain of salt, as the site does not specify when it was calculated and it may be out of date, the team continues to be a much better bet at home than on the road. Even in a down season when they were projected to finish last in the Big 12, they started the year 9-3 straight-up at Hilton and managed to go 5-5-1 ATS compared to a woeful 1-5-0 ATS on the road. According to the records kept by TeamRankings.com, they have not been under .500 against the spread at home in over a decade, going 6-7-2 in the 2006-07. From 2007 to 2017, they went 75-54-5, covering at over a 58-percent clip. Utah Utes & Colorado Buffaloes: A Winning Altitude? 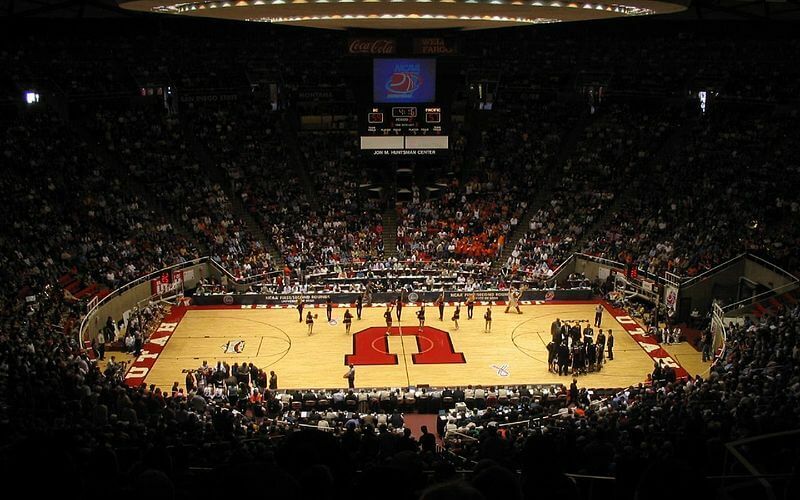 Since the Utes joined the Pac-12 (2012), they have been paired with Colorado as a travel partner, meaning each other team in the conference plays at Utah and Colorado on the same road trip. Salt Lake City is 4,226 feet above sea level, while Boulder is over a mile high (5,280 feet), and that takes its toll on visiting players, whose bodies are not accustomed to the reduced oxygen. The Utes and Buffs players, on the other hand, have been playing and practicing at altitude all year; their bodies are better equipped to handle the rigors of running around a mile above sea level. They become basketball sherpas. Visiting teams feel the impact in their lungs and on the scoreboard: only four teams have swept their Utah/Colorado road trip in six-plus seasons, even though the Pac-12 has been home to powerhouses like Lonzo Ball’s UCLA Bruins, Dillon Brooks/Jordan Bell’s Oregon Ducks, and Aaron Gordon’s Arizona Wildcats. Need further proof that altitude is playing a big role? The aforementioned study by BoydsBets found that the University of Denver had the biggest swings in scoring-differential between home and away games, while Colorado and Colorado State were both in the top 25. Both Colorado and Utah crush the number at home. The Buffaloes are 87-61-3 over the past ten-plus seasons (58.8% cover rate) while the Utes are 85-63-8 (57.4% cover rate). Wisconsin Badgers: All Bark, No Bite? Do Badgers bark? That’s a controversial topic for another day. What’s clear is that Wisconsin’s oft-hyped home-court advantage, which saw the team go 202-27 straight-up at the Kohl Center from 1997 to 2017, isn’t showing up in the betting realm. Despite going to a National Championship (2015), another Final Four (2014), and five more Sweet 16s (2008, 2011, 2012, 2016, 2017) in the last ten years, Wisconsin only covered 51.8% of their home games in that time (84-78) and was under .500 ATS in five of those seasons. They were 220th in the nation in BoydsBets’ study with a scoring differential just 3.01 PPG higher at home than on the road. That straight-up record is gaudy. But at this point, Wisconsin basketball is a big brand and the challenges of the Kohl Center have seeped into the consciousness of sportsbooks, which has taken away the value in backing the Badgers at home sight unseen. Alright, now you know how to choose the teams that can give you an edge over your sportsbook. But, do you know how to apply sharp strategy so that you can maximize the value of your bets across online sportsbooks? Start by checking out our guides on how to utilize arbitrage betting and line shopping to your advantage; both are testaments to the fact that being an effective sports bettor goes far beyond just knowing which teams to pick.